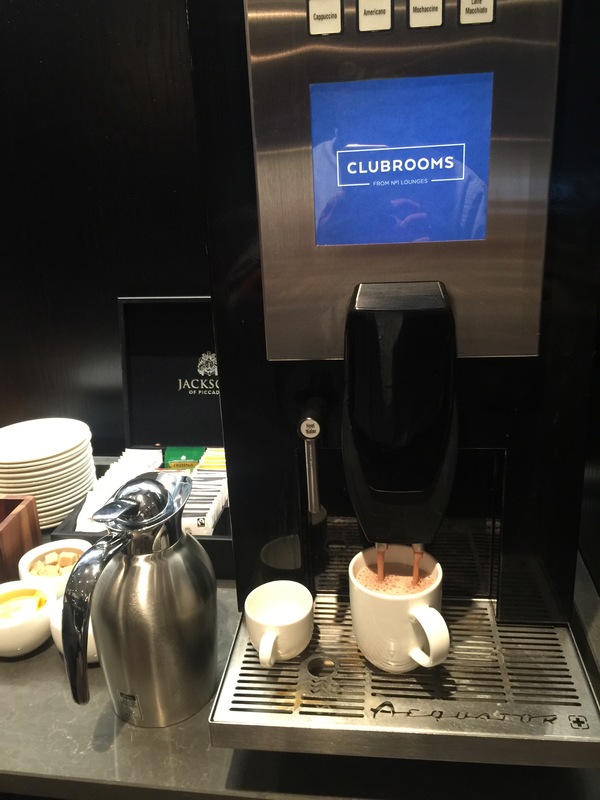 The Clubrooms at the North Terminal in Gatwick Airport is the new premium lounge by No1 Lounges, located just one floor below its flagship lounge, the No1 Lounge. 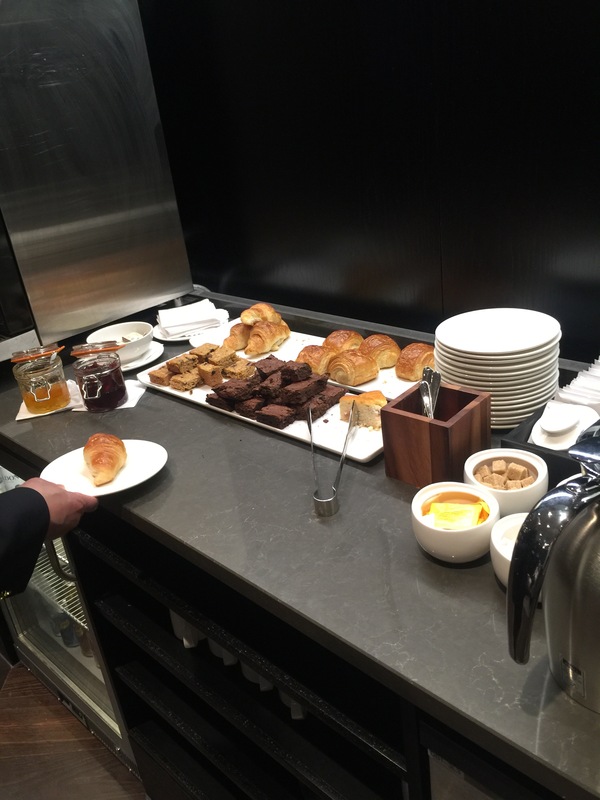 The lounge is open to any passengers on British Airways First departing from Gatwick or BA Gold members or oneworld Emareld members. 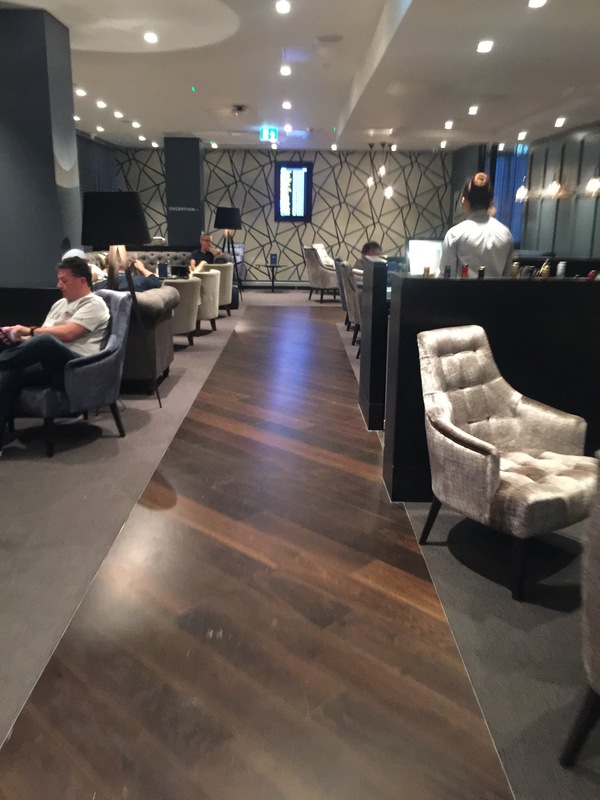 The general public can also access this lounge by paying £50 per person (or £40 when booked online). Entry is valid 3 hours prior to flight departure. 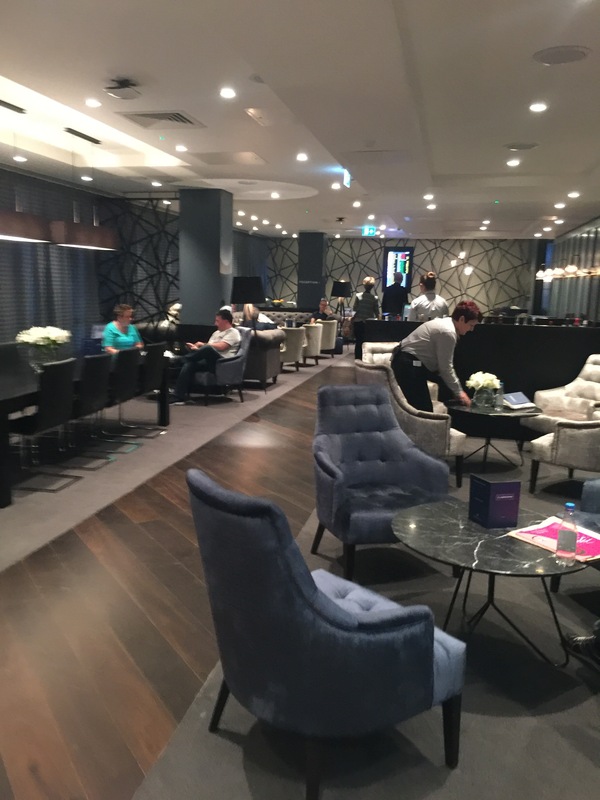 The lounge features include dedicated table service, complimentary champagne, self-service soft drinks, tea and coffee making facilities, hot and cold dishes from the kitchen and complementary Premium Security lane access (for visit up to 30th June 2016) to name a few. I gained access via BA Gold. 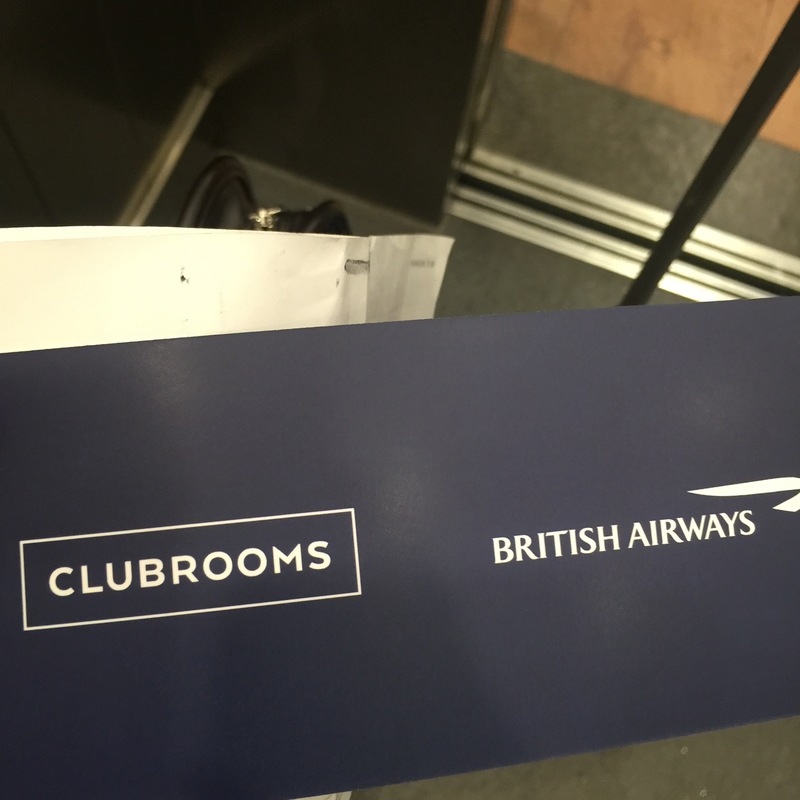 The BA lounge check-in lady gave me a voucher to be used at the lounge. 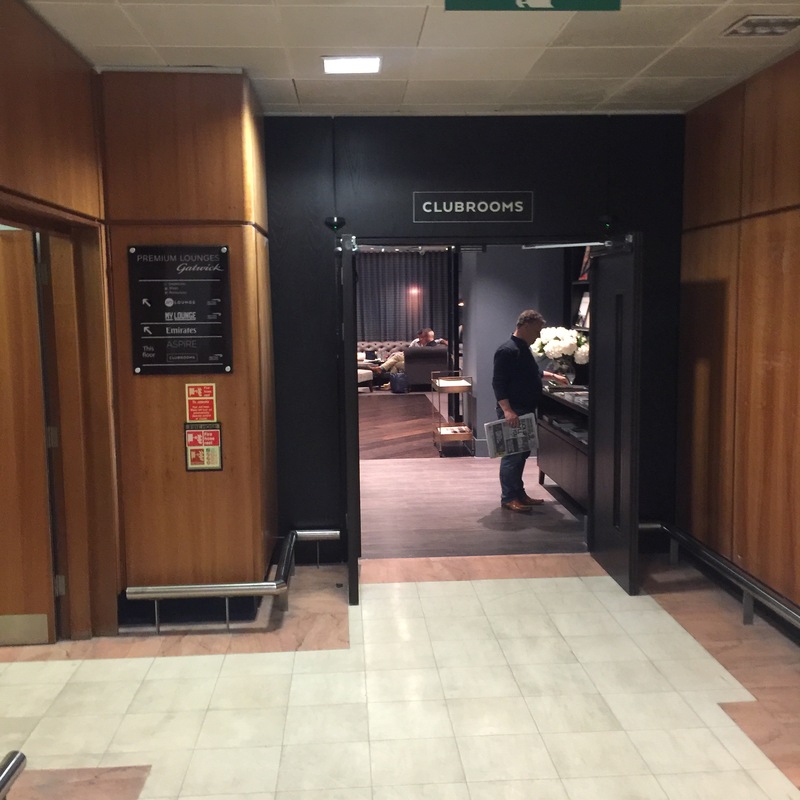 As you may know, the BA lounge at Gatwick North is in the middle of refurbishment and soon to be transferred to the South Terminal. 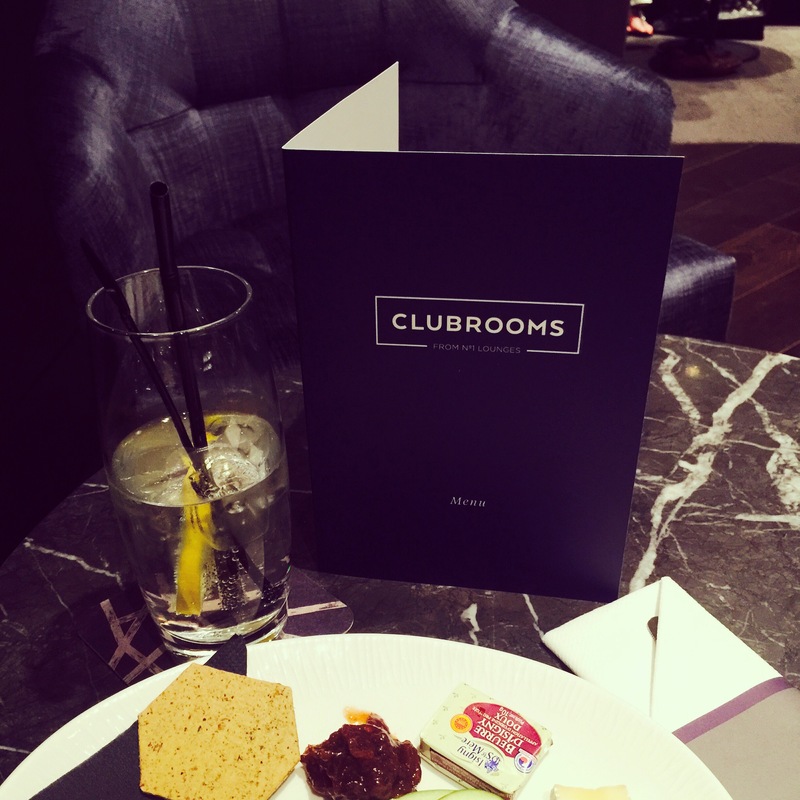 The use of Clubrooms is only temporary until the new permanent BA lounge is open at the South terminal. As you can see, the lounge is slightly bigger than the previous BA First Class lounge. It is more spacious with modern touches throughout. 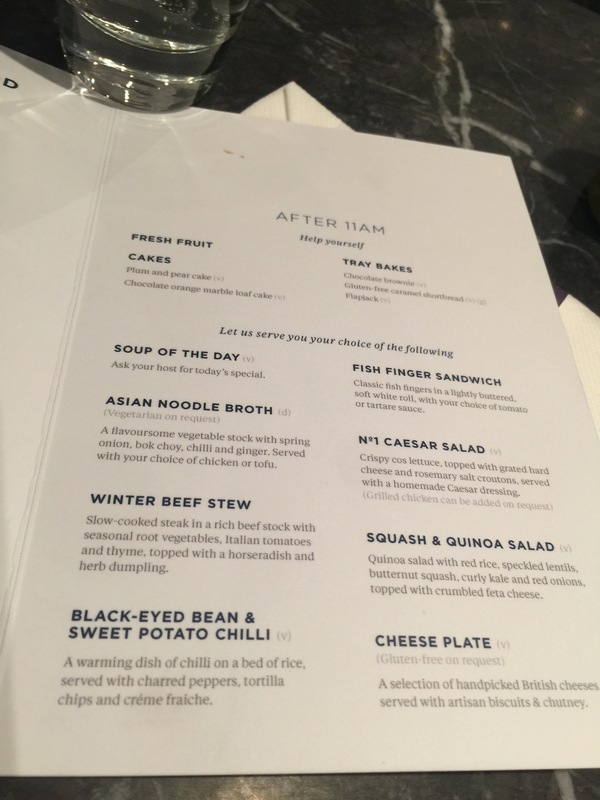 The service was excellent and attentive, comparatively to the BA First Class lounge service previously where you have to look for the waiter/waiteresses to serve you. Even if you did find one, they gave you that look as if they did you a massive favour! The complementary menu was not that bad either. Lots of choices including hot food. 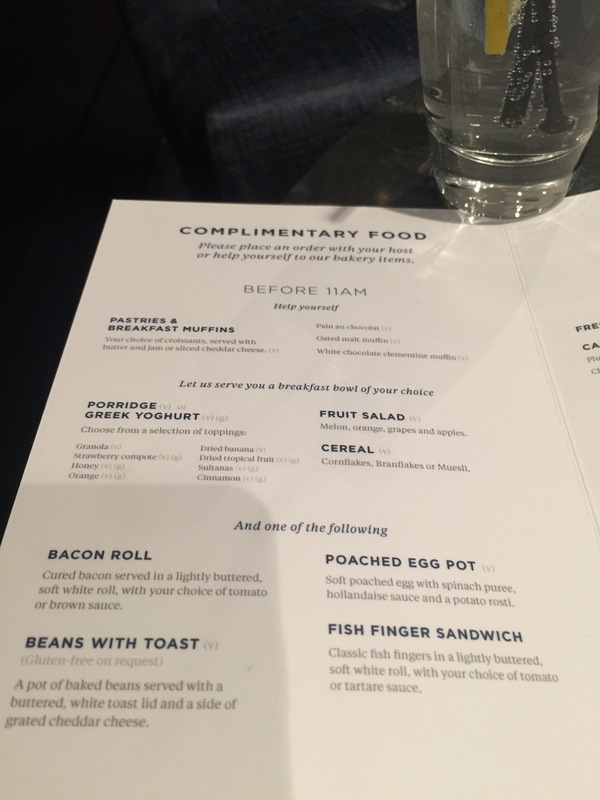 Complementary drinks as below. I would definitely use this lounge again with my BA card but I don’t think I would pay the £50 entry fee for 3-hour use. The lounge was not as crowded as the sister lounge upstairs where you have to literally fight for a seat with other guests. This lounge was much better with subtle calming tones throughout. Sorry, absolute rubbish. I’ve been BA Gold for four years. I used the old Silver and Gold lounges at LGW weekly for years. I got to know some of the staff on named terms and they were efficient and charming. There is nothing wrong with the staff here, it’s the dreadful business model. 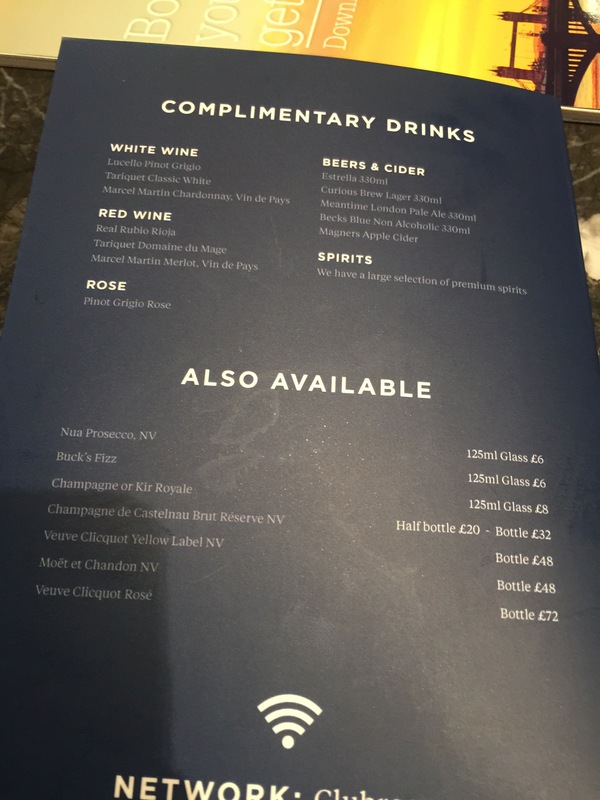 There is no complementary champaign it’s £8 a bloody glass. You don’t help yourself to anything except soft drinks tea and coffe and the portions of “hot food” are minuscule. The toilets were not clean and fresh or monitored that I could see. No business area for printing etc. BA used to be the global leaders in excellent standards. They got this contract seriously wrong in my view and have failed to make a risk, transition or engagement plan. Any First Class passenger will be very seriously disappointed by the description and expect a first rate service which isn’t the case. I hope the new BA Lounge is what we pay for and expect.